The Hermit: Hey, boy. Hey, boy. Hey, boy. Unn? C'mon, boy. Hey. Hey. Hey, fella. The scene where they are in the shop in the beginning is removed from the "uncut" version and is replaced with an extended scene of them driving the truck through the woods. Then they stop when Burt says he left something back at the store and they have a longer conversation about the map. The scene of Rider Strong going behind the building to wash his hands after Dennis's bite and he pets the stray dogs is removed from the "uncut" version. A different angle of Jordan Ladd's character Karen swimming away after the "kiss" scene on the dock with Rider Strong. When it is discovered that Karen has the disease during an intimate scene, there is an additional scene that follows the "Don't...Leave...Me!" where Burt comes into the room and yells at her about how the truck isn't ready yet, and they have to finish cleaning up the bum's blood. An extended scene of everyone arguing around the fireplace when Burt makes a joke about his burnt marshmallow. A scene of Burt sitting outside guarding the shed with his shot gun. This immediately follows when they hear the dog trying to get Karen in the shed and they shoot a bullet and tell Karen that they will stay outside with her to keep the dog away. The gunshot to Burt's head in the cabin is bloodier. In the "R" rated version it cuts away quick and only shows the aftermath from a difficult-to-see angle. An additional scene where Rider Strong grabs the long-haired hick after the attack and drags him down to the cellar. He yells at the hick as he throws him down there and says "When they get here, tell them I didn't do it! ", then slams the door. The human-bonfire scene when they say "We got another one in the basement" immediately goes to a shot of the cellar door opening from the inside, then a bunch of shotguns appear and start shooting like crazy. We see blood all over the walls. Then they pour gasoline and one cop lights a match and cellar goes up in flames followed by more shots of blood and guts on the walls, ceiling, and floor. The end is switched around a little. Instead of just the cops drinking the contaminated lemonade followed by a country song with the townspeople, the whole entire town shows up and has a cup. There is additional dialog among the townspeople, different shots, and it shows the FDA man walking around more testing and the Water supply truck is in view longer. Q: How did the disease originate? Q: What kind of skin disease is that? Best movie of T.I.F.F.? I say yes! I saw this film at the Toronto International Film Festival (sept 02), and i was thoroughly impressed - of the 42 movies i saw, this was the best (even better than Bubba Ho-Tep, and i am a HUGE Bruce Campell fan). If you like movies like the Evil Dead trilogy, Last House on the Left, and Texas Chainsaw Massacre, you will love this movie. 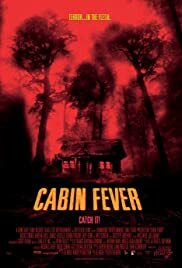 The acting is surprisingly good for a bunch of nobodies, the story is very well developed (even a few really funny jokes, always good in horror), and the gore is INCREDIBLE! For those of you that miss the extreme gore of the 70s and early 80s, you will not want to miss this film. If you like absurd, black humor, you might also enjoy it a lot. And if you want a change from the standard slasher in the woods as the villain, definitely check this out. I'm predicting this will be the best horror movie of the year. 30 of 62 people found this review helpful. Was this review helpful to you?